No, the site is … ummm … not really designed for aesthetes. But, hey, free is free. Thanks WTAMU! While the practice is good, it’s based on the old version of the GRE Quantitative (GRE Math), not the revised GRE quantitative. Your best bet for practice on the GRE math as it looks on the new revised GRE exam can be found at the GRE website. 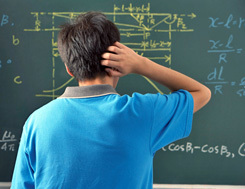 You can download and practice taking a revised GRE exam, which includes GRE math problems. FYI, be very careful about using third-party resources, such as Kaplan or Princeton Review’s books for their GRE Quantitative problems. They are fine for practice, but be aware that they are not always the same as the real thing. When ETS writes a problem for the GRE, they may try the problem out on thousands of students, using the research section of the test. Their problems are carefully structured, and ETS knows exactly how difficult they are for the average test taker. Not so for third-party companies. Always check out books online using Amazon or some other service to see what kind of reviews the book is getting. Don’t even go by company name. Princeton Review’s general GRE book gets 4 stars out of 5. 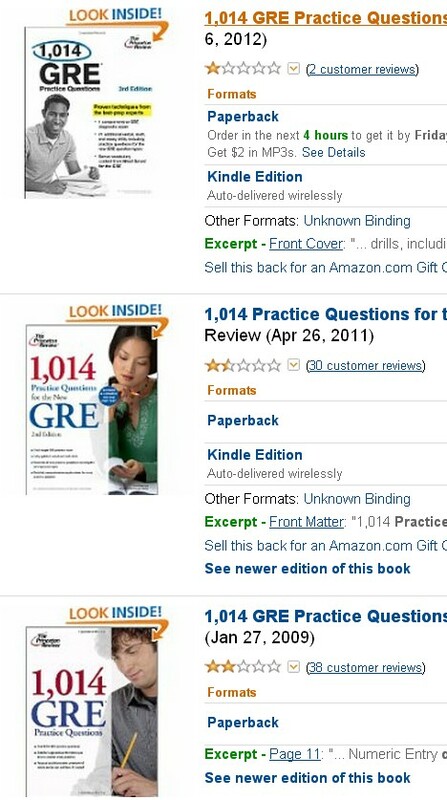 Princeton Review’s book of 1,014 practice GRE problems gets 1 star out of 5 because it is so full of errors it’s almost unusable. I’ve got the book, and almost one out of every four problems has a mistake that makes it unworkable or severely flawed. You wonder if they actually tried the problems out on anybody before actually publishing it. Not only that, but they’ve issued three different updates of the book, all of which get horrible scores. They know the books zucks, yet they keep selling it! Best bet? Stick with the practice test from ETS for the real deal on revised GRE quantitative problems. After that, a site like WTAMU’s is great for practicing the concepts in the GRE math, but they won’t have all the same GRE math question types you’ll see on the actual test. It’s still FREE, and it’s still a big help! Previous PostGRE Score Reporting Changes!Next PostGRE Pricing Changed!